Nowadays reliable mail infrastructure is a must for any business industry. You need an email server to send and receive email, and in lots of cases, Web servers and mail servers are combined in one machine. Along with its other functions, Plesk Onyx also offers mail server software in this way, and it doesn’t need any setting up to get you started. But it’s worth taking a look at your settings to make sure that Plesk mail server is configured in a way that will best suit your needs. To do this go to Tools & Settings > Mail Server Settings (in the Mail group). Look at the Enable mail management functions in Plesk checkbox. If it’s already ticked, then don’t touch it in. It lets users create email accounts and avail themselves of services while they are in Customer Panel, but if you want to use an external mail server, then make sure the box remains unticked. The Installed mail server and Installed IMAP/POP3 server can be easily changed by clicking the appropriate links that take you to the Plesk Installer GUI page. The Maximum message size box does exactly what you’d expect. I’ve specify sizes or leave this one empty if you’re not concerned. If you’re using Plesk mail for Linux, you can set how many simultaneous connections mail users can make to the server, which might come in handy if more are required. You can also vary the total number of connections from the same IP address. Setting a lower max will affect any users behind a firewall who connect via multiple computers, along with others who have multiple mail accounts. Offering the right resources isn’t just about how many connections are available at the same time. It’s also about how much CPU power and disk space you should make available. Calculating total connections is done by adding up all the ones which share the same protocol (IMAP, POP3, IMAP over SSL/TLS, or POP3 over SSL/TLS) and a single limit may work for any of these. Maximum number of connections (IMAP, POP3, IMAP over SSL/TLS, or POP3 over SSL/TLS). This shows the total IMAP or POP3 processes that can be started on the server. Maximum number of connections per IP address. This shows you the greatest possible number of connections using identical protocols which the server will accept from any given IP address. These settings directly relate to the Courier IMAP configuration parameters MAXDAEMONS and MAXPERIP. Maximum number of connections (IMAP, POP3, IMAP over SSL/TLS, or POP3 over SSL/TLS). This is the max amount of mail users able to be logged in simultaneously. Maximum number of connections for a user per IP address. This is the max number of connections using the same protocol that a mail user can establish from a single IP address. These settings correspond to the Dovecot configuration parameters process_limit and mail_max_user ip_connections. (Optional) To email using port 587, choose the “Enable SMTP service on port 587 on all IP addresses” tickbox (Plesk for Linux) or “Switch on message submission on all IP addresses” (Plesk for Windows) and permit connections for port 587 in your firewall settings. Port 587 can also be selected by customers for outward-bound SMTP connections fromthe settings of their email programs. In Plesk for Linux on a Postfix mail server, you can alter the mail IP address, and if your server sends mail from domain IP addresses, you can decide which name you would prefer to be used as the host name in SMTP greetings. Send from domain IP addresses. Mail from each domain is sent from the domain’s IP address by default. The host name used in the SMTP greeting is the Plesk server host name that’s in Tools and Settings > Server Settings. Choosing this option might result in mail sent from some or all domains being marked as spam if the Plesk server host name doesn’t resolve correctly, or if the domain’s IP is different from the one to which the Plesk server host name resolves. This option is most effective if you have one IP address on the Plesk server. Send from domain IP addresses and use domain names in SMTP greeting. If you select this, Plesk alters the mail server configuration to make the SMTP greeting contain the name of the domain from which the email message is sent. Warning: If you select this option then mail sent from some or all domains may be marked as spam if the destination mail server uses cbl and more than one domain on the Plesk server uses the same IP address. Also, selecting this option on Plesk servers hosting 100 domains or more will probably create a much greater server load. 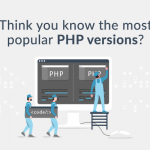 This option is most effective if you have given a dedicated IP address to every domain hosted on the Plesk server, and if the server is only hosting a small number of domains. Send from the specified IP address. You might want to use particular IPv4 and IPv6 addresses for all outgoing mail. To send every email from the address specified could be useful, like when the IP address of the mail server gets added to a public black list, such as the OpenBL or Spamhaus lists. If you choose to select None, outgoing mail won’t be sent. Choose mail relay mode. Whilst in closed relay mode, the mail server only allows messages addressed to users who have mailboxes on the server. It’s best to leave mail relay open, since your customers won’t be able to send mail using your outgoing SMTP server if you don’t. POP3 lock time. Once users have succeeded in authenticating the POP server using POP3 authorization, they may exchange email through the mail server for the permitted amount of time. SMTP. SMTP authorization requires all externally-bound emails to be authorized. It can be dangerous to open mail relay without authorization, as this means that spammers can send unsolicited mail through your server. Was nothing stopping you doing this if you want to, but you’ll have to go out of your way to find it because the option is hidden by default. To set the open relay, log in to the server’s file system, find the file root.controls.lock in your Plesk installation directory (PRODUCT_ROOT_D/var/root.controls.lock on Linux and PRODUCT_DATA_D/var/root.controls.lock on Windows platforms) and take care this line -/server/mail.php3:relay_open from this file. You should now be able to see the open relay option control panel. If you are using Plesk for Windows and don’t want to use relay restrictions for trusted networks, specify the network IP and mask in the Use no relay restrictions for the following networks field (for example, 123.123.123.123/16) and click the icon. If you would prefer to remove a network from the list, click on the icon that indicates with the network you’d like to remove. Any relay hosts on the networks in the list are present there because it’s thought they’re not run by spammers, open relays, or open proxies. A trusted host could potentially relay spam, but won’t originate it, and neither will they forge header data. DNS blacklist checks won’t ever query for hosts on these networks. SmarterMail mail server lets you switch on the Require SMTP Authentication option on the domain level. This option can only be switched on when you select open relay on the server level in Plesk. With other relay modes, Plesk turns this option off. To turn on this option, allow open relay in Plesk as described above and go to SmarterMail > Settings > Defaults > Domain Defaults. Turn on limitations on outgoing email messages. This option stops spam being sent from the Plesk server. see Protection from Outbound Spam for details. Note: The limits shown in Server-Wide Mail Settings are the default values used in service plans and subscriptions unless you’ve set your own limits. More info on this is available in How Limits Work. Send an email notification every (choose how often). The administrator gets an email notification any time an attempt is made to exceed this limit. Allow scripts and users to use Sendmail (Linux only). This lets scripts and system users of subscriptions send emails by using Sendmail, even if the limits for a mailbox and domain are exceeded. The highest allowable number of messages that can be sent will be set by the limit for a corresponding entire subscription. Messages are sent on behalf of the subscription’s system user. Show reports based on statistics for the last (specify time period). 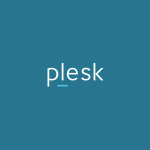 If an attempt is made to go over the limits on outgoing mail during that time, the Plesk Home page shows an alert, and by default, reports are created based on the statistics for this period. If you turn on limitations on outgoing email messages, a new link, Outgoing Mail Control link (in the Mail group of Tools & Settings) appears. Use this link to view detailed statistics about outgoing email messages for all Plesk objects. Close the open relay and remove all addresses from the relay’s list of trusted networks and IP addresses. In Tools & Settings > External SMTP Server check that the option Allow Plesk to send email notifications through this SMTP server is turned on. Choose the antivirus program that you want to be used on the server. For details, see Antivirus Software. Choose the spam protection options that you would like be used on the server. If you want to use spam protection systems, such as SpamAssassin spam filter, or protection systems based on DKIM, DNS Blackhole Lists or Sender Policy Framework (SPF), go to the Antispam Tools section. When using the Qmail mail server, you can choose this mail account format. If you select the Use of short and full names is allowed option, users will be able to log in to their mail accounts using just the left part of their email address, the bit before the @ sign (for example, username), or by using the whole email address (for example, [email protected]). To avoid difficulties for email users who are in different domains but share identical user names and passwords, you would be wise to use the Only use of full mail account names is allowed option. When you have set your mail server to only support full mail account names, you won’t be able to switch back to supporting short account names until you’ve insured there are no encrypted passwords for mailboxes and user accounts with the same user names and passwords residing in different domains.